What is a 504 Refinance Loan? The 504 Refinance Program helps strengthen banks by reducing their lending exposure, while also providing a lifeline to businesses with balloon payments coming due. With the re-launch of the 504 Refinance Program, small business owners can use the long-term, fixed rate 504 Loan Program to refinance existing commercial mortgages. This is huge considering the current trends are pointing toward tighter credit standards and higher interest rates. At a time when it’s becoming increasingly difficult to refinance commercial loans, the 504 Refinance Program is here to fill the gap by providing an affordable refinancing product that both lenders and the small business community can eagerly embrace! The interest rate is fixed for 20 years much like the standard 504 Loan Program. However, the effective rate will be slightly higher than standard 504 loans due to higher servicing fees. If you answer “yes” to the following questions, the project will likely qualify for the 504 Refinance Program. Is the loan at least two years old? Was the debt to be refinanced originally used for the purchase/improvement of fixed assets? Is Refinancing a Permanent Option with 504? Sort of. While this is not a “temporary program” as it was in 2012, there is a mandate in place stating the Debt Refinancing Program will only be in effect in years the 504 Loan Program is operating at a zero-subsidy. Every year since FY16 has been a zero-subsidy year. Businesses with a successful track record and growth potential can generally qualify for the 504 Loan Program if the business is for profit and averages less than $5 million in annual profits and $15 million in net worth. Qualifying projects must have originally involved the purchase, construction or improvement of fixed assets such as land and building, and/or purchase of heavy machinery or equipment. Is a Cash-Out Refinance Available? Yes. Talk to a Growth Corp loan officer for project specific details. A widget manufacturer is refinancing an existing $1.8 million commercial real estate loan. The property appraises at $2 million. 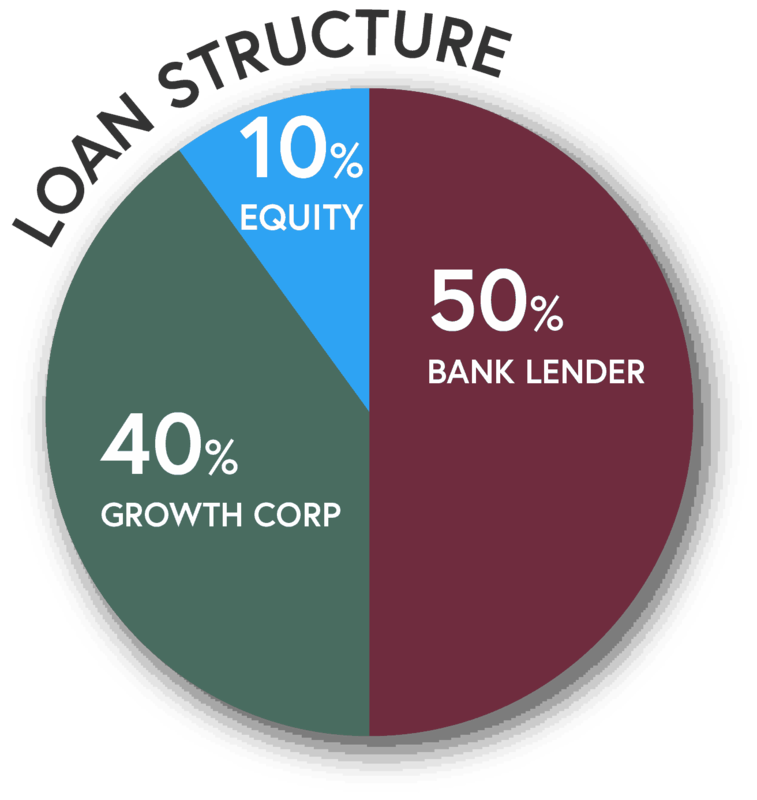 NOTE: The third-party (bank) loan must be equal to, or greater than, the SBA 504 debenture amount. 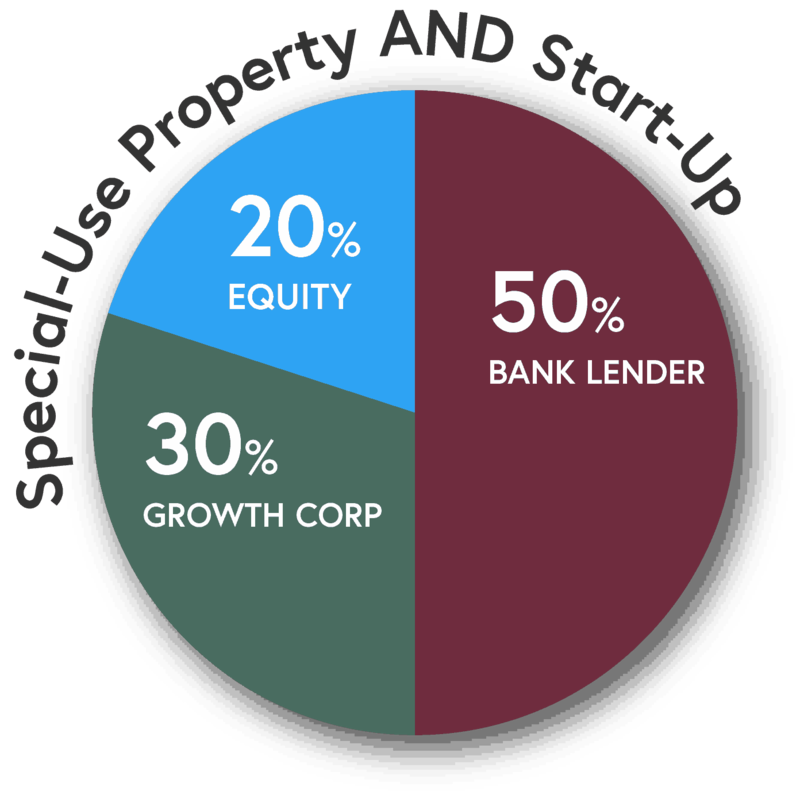 The SBA piece cannot exceed 40% of the appraised value. A widget manufacturer is refinancing an existing $1 million commercial real estate loan and would like to get cash out of the building for eligible business expenses. The property appraises at $2 million. 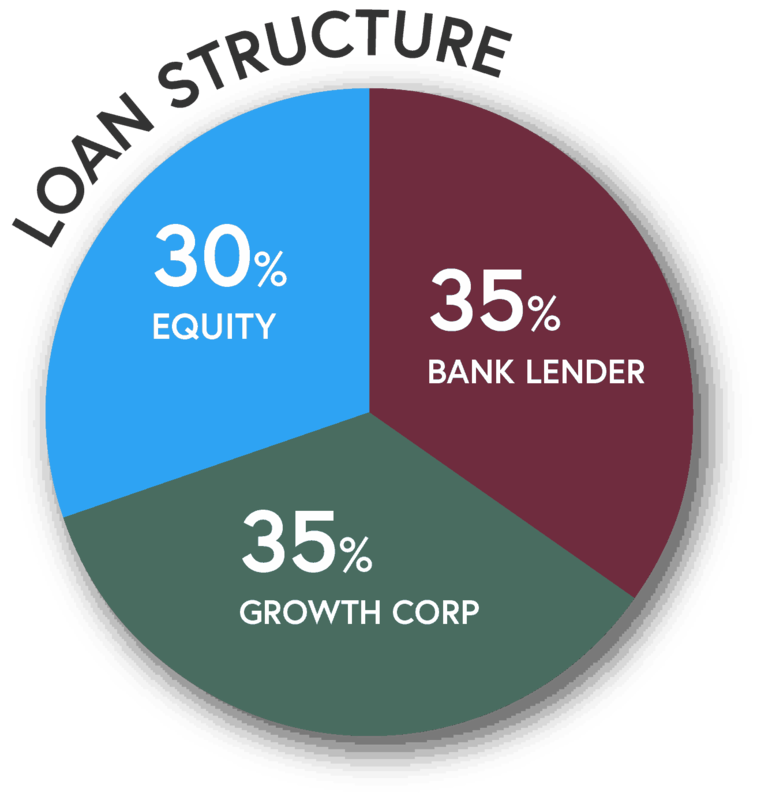 NOTE: The loan-to-value does not exceed 85% and the cash out portion does not exceed 20% of the appraised value. 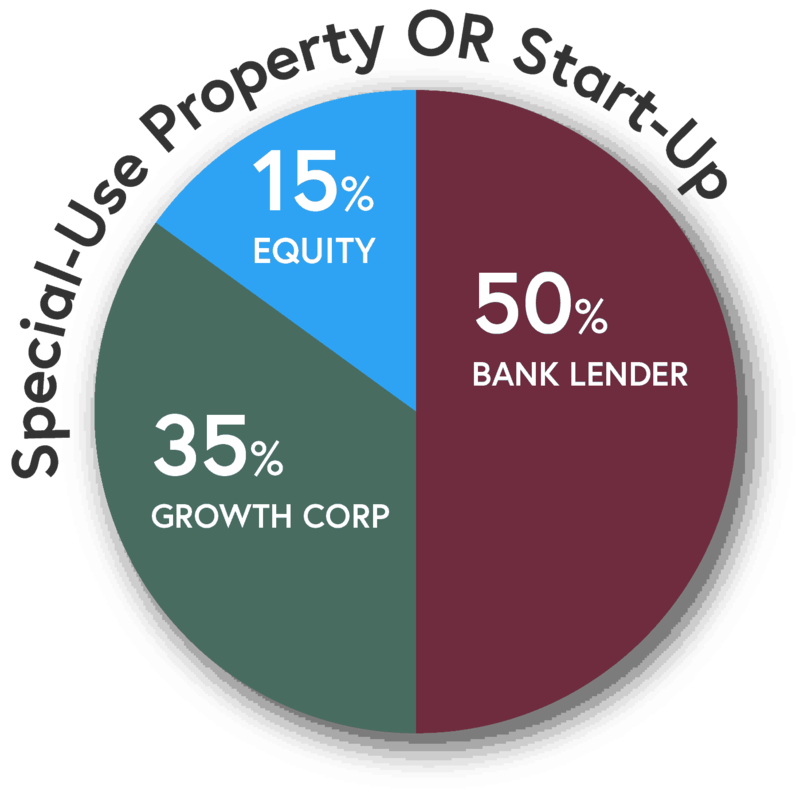 Higher equity requirements exist for start-ups or special purpose properties…the equity required will increase by 5% if one condition exists or by 10% if both. SBA 504 Loans are made in conjunction with your local bank...so you can keep your lending relationship.